While processing the files of Murray Peters (Executive Director of Field Staff Operations at the Joint Campaign), I stumbled upon the letter pictured below. The letter, dated January 27, 1978, was in a folder that was part of Peters’ Joint Campaign (UJFC) 1978-1982 Subject Files. 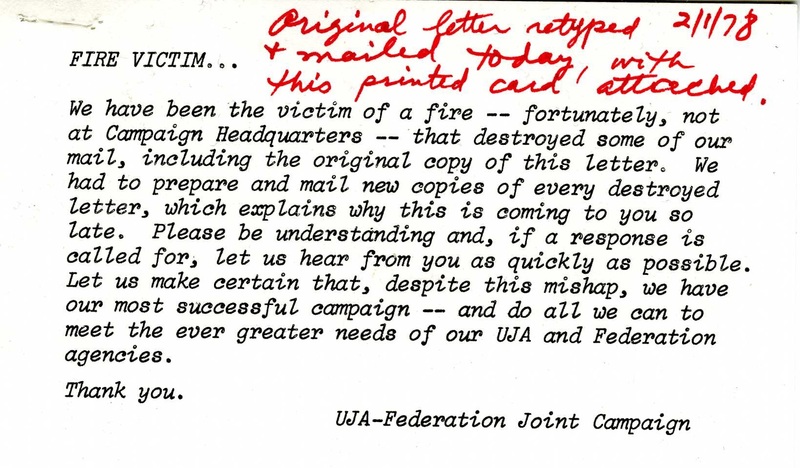 Indeed as I read the note card attached to the letter, titled “Fire Victim”, I learned that the letter and the envelope attached to it, had been caught in a fire. Fortunately the fire had not occurred at the UJA-Federation Joint Campaign Headquarters. The letter was discovered in a Leadership folder of Irving Schneider who corresponded with Murray Peters. 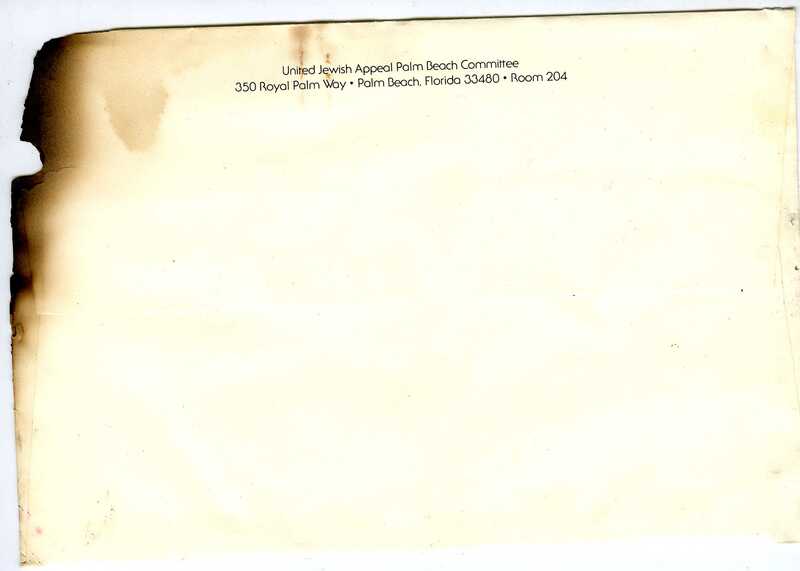 The letter itself is in fairly good condition aside from the blackened, frayed and fragile edge and since not much can be done with materials such as this, it was placed in a plastic sleeve. 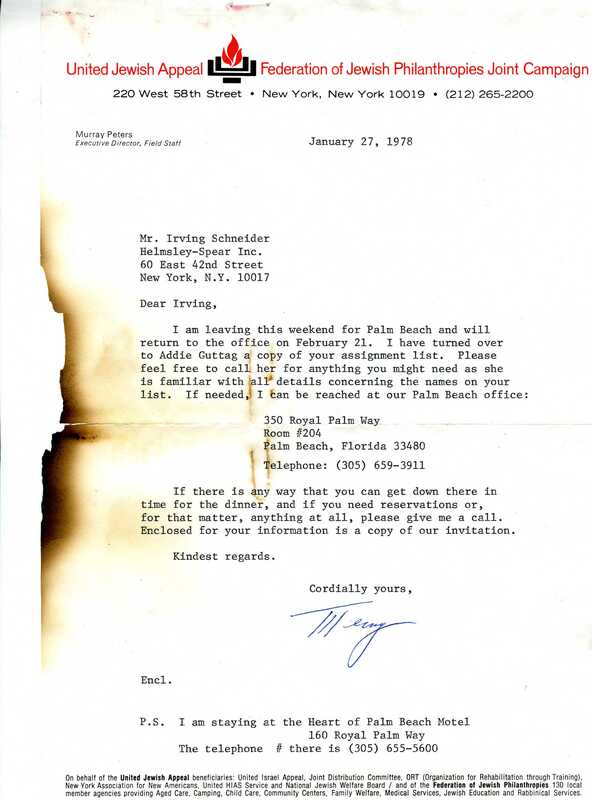 It appears that the original, charred letter was kept as a copy of the clean, retyped version that was sent to the recipient. On first glance it appeared to be a marketing tactic, but on closer reading it appears that routine outgoing mail had been affected. 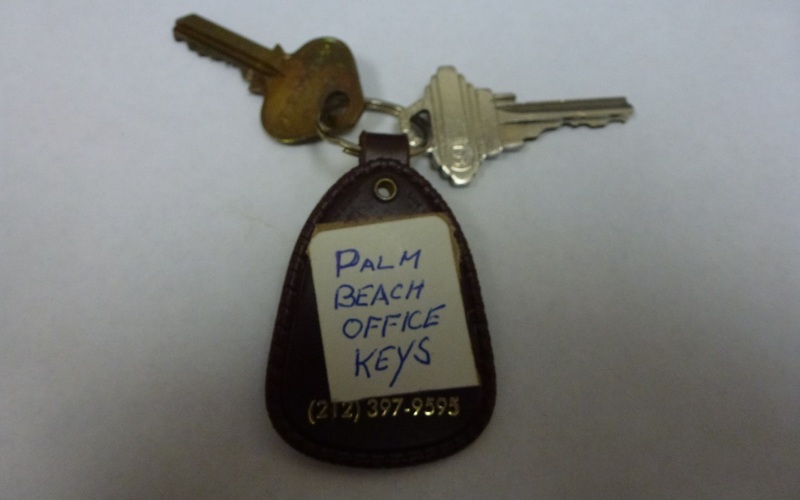 Additionally, in the same series of files but in a different folder I found the keys to the Palm Beach office (pictured below). One can only hope that the locks have been changed in the years since 1978. This coverage will provide researchers a nearly complete picture of the Board of the Federation, from its organization to its merger with United Jewish Appeal of Greater New York, 8 years of minutes on the activities of the merged Board, and 14 years of information on the Executive Committee, from the beginning of the Joint Campaign to the merger. 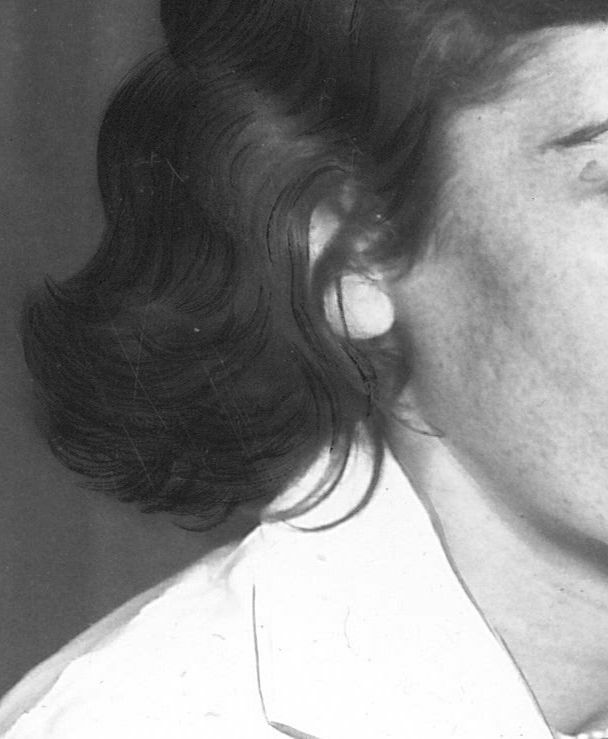 All that was microfilmed by UJA-Federation and, then, deeded to the American Jewish Historical Society has been digitized. Because very few files from Officers and Board members were retained or deposited into storage, the Board minutes provide an important resource on Board activities, resolutions and discussion on various issues. If a researcher is aware of the date of an event or issue, the minutes can offer a way to find a starting point for locating information about that event or issue. 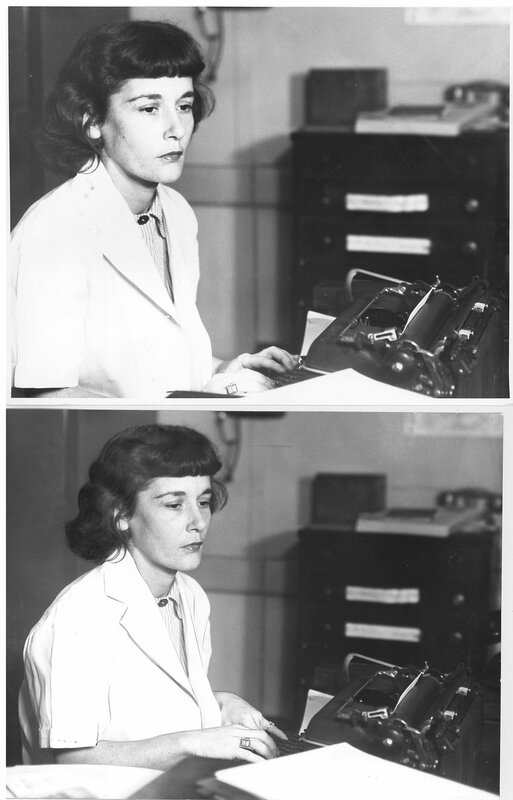 Since the files were scanned using optical character recognition software and stored as portable document format (PDF) files, each set of minutes is keyword searchable. For assistance with a global keyword search through the entire set of Board minutes (1916-1986), please contact us at reference@ajhs.org. The Board minutes have also been collected online and are available here. A nice substitute until the finding aid for the collection is available online! In 1948 UJA began planning an office building to house their growing staff, and to escape the increasing rents of midtown Manhattan. The threat of their rent going up to $4.50 a square foot was the impetus for board members to put together a plan to finance a new building at 220 W. 58th Street. The architect was Hyman Isaac Feldman, a Jewish immigrant from Austria (an area now in Poland) who had a prolific career building primarily apartment buildings throughout many different neighborhoods in New York City. Columbia University has an architectural database of real estate brochures for residential buildings in New York, which includes real estate brochures of 118 designs by Feldman or others in his firm. His obituary in the New York Times mentions that Feldman was also responsible for the Federation building at 130 E. 59th Street, although it is unclear whether he worked on the original building or one of the renovations to combine buildings into the one we know today. He won an award for best apartment house design in 1932 by the Brooklyn Chamber of Commerce. 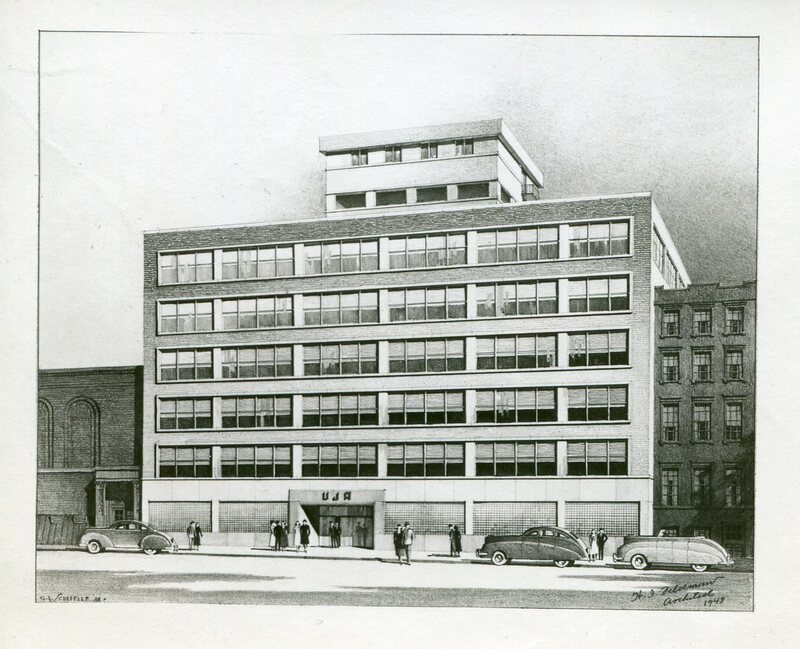 Above is the architect’s rendering of the UJA building, complete with UJA on the front and late model sedans parked out front. According to the UJA files on the building, from the office of Melville L. Rappaport, Assistant Secretary of UJA, the design included a map of Israel embedded in the terrazzo floor of the lobby, a nice touch for an organization that supported projects in Israel in the year following statehood. The building until recently housed a New York City public school, but appears to have recently been demolished. The link will take you to Google street view, which shows a variety of images of the building: in 2007 behind scaffolding to a 2014 image showing, sadly, an empty site.